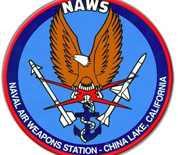 Naval Air Weapons Station China Lake, the Navy's largest single landholding, is located approximately 150 miles north of Los Angeles in the Western Mojave Desert region of California. The mission on base is to support the Navy's research, development, acquisition, testing and evaluation of systems for the warfighter. The base maintains two ranges, the R-2508 Special Use Airspace Complex and Armitage Field, an airfield with three runways. Units stationed at China Lake include the Naval Air Warfare Center Weapons Division, Air Test and Evaluation Squadrons 3 and 9 (VX-31 and VX-9), a Marine Aviation Detachment and Explosive Ordinance Disposal Detachments. This NAWS China Lake directory features the critical info you’ll need to navigate through the many facilities and recreational opportunities available on base.